Badar Durrez Ahmed, J. 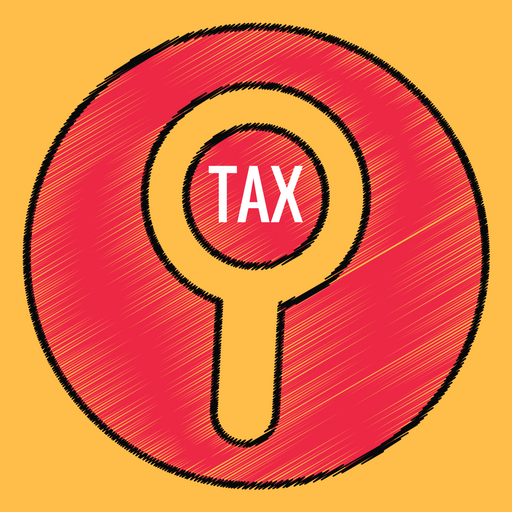 – This is the second round of litigation before this court in respect of the very same subject-matter, which is the grant of exemption under section 10(23C)(iv) of the Income-tax Act, 1961 (hereinafter referred to as “the said Act”). “After hearing counsel for the parties in some detail, it appears that the petition can be disposed of on the short ground that the petitioner may, if so advised, withdraw its utilization/investment with which India Exposition Mart Ltd. (IEML) and utilize/invest those funds as per section 11(5) of the Income-tax Act, 1961 (Act). Learned counsel for the Revenue agrees that since this is the only objection against the petitioner, in respect of its application for exemption under section 10 of the Act, the petitioners may apply afresh after compliance is made under section 11(5) and that application shall be deemed to have been filed on May 22, 2007 when the application for according exemption was filed in the first instance. For all intents and purposes, this application will be treated as a substitute for the earlier application. The fresh application shall not prejudice, in any manner, the position which obtained in the financial years 2001-02 to 2004-05. The fresh application shall be made not later than eight weeks from today whereupon the Revenue shall pass an appropriate order. In view of the above, it is a logical corollary that the impugned order is set aside. It is so ordered. 3. A plain reading of the aforesaid order makes it clear that the only objection against the grant of exemption was that the petitioner had invested some funds in India Exposition Mart Ltd. (IEML), which, according to the Revenue, was not in accordance with the provisions of section 11(5) of the said Act. It is further clear from the aforesaid order that the counsel for the Revenue had agreed that this was the only objection against the petitioner and that in respect of the application for exemption, the petitioner may apply afresh after complying with section 11(5) of the said Act. In other words, the petitioner was advised to withdraw the said investment from India Exposition Mart Ltd. and to place the said withdrawn funds into appropriate investments as stipulated in section 11(5) of the said Act. The court also made it clear that if this was done and an application was made, such application would be deemed to have been filed on May 22, 2007 and for all intents and purposes it would be treated as a substitute for the earlier application. It was also made clear that the fresh application would not prejudice, in any manner, the position which obtained in respect of the financial years 2001-02 to 2004-05. The present application was in respect of the financial years 2007-08 to 2009-10 corresponding to the assessment years 2008-09 to 2010-11. By virtue of the said order, the earlier order of the Director General of Income-tax (Exemption), New Delhi was set aside and the matter was to be considered afresh. It is an admitted position that consequent thereto, the amount lying with the India Exposition Mart Ltd. has been withdrawn by the petitioner within eight weeks, as indicated in the order of the High Court, and the money received has been deposited in Current Account No. 00291131000407 with the Oriental Bank of Commerce, Mahipalpur Branch, Delhi, with effect from March 31, 2009. 4. Consequently, the petitioner had complied with the direction given in the said order of withdrawing the amount lying invested in India Exposition Mart Ltd. and in placing the said amount in a scheduled bank in accordance with section 11(5) of the said Act. However, despite this having been done, the Director General of Income-tax (Exemption) did not grant exemption to the petitioner under section 10(23C)(iv) for all the assessment years 2008-09 to 2010-11 but limited the exemption to the assessment years 2009-10 and 2010-11. In other words, he denied exemption for the assessment year 2008-09. 5. After having heard the arguments advanced by the learned counsel for the parties and examining the order passed by this court in the earlier round in detail, we are of the view that it was not open to the Director General of Income-tax (Exemption) to have refused exemption for the assessment year 2008-09, when the petitioner had withdrawn the investment in India Exposition Mart Ltd. and placed the same in a scheduled bank in compliance with the provisions of section 11(5) of the said Act. It was made clear in the order passed by this court that the second application that would be moved by the petitioner pursuant to the order of the High Court, would be treated as having been filed on May 22, 2007 and was to be an entire substitute of the original application. 6. Consequently, the impugned order to the extent that it denies exemption for the assessment year 2008-09 is set aside. The respondent is directed to grant exemption for the assessment year 2008-09 also in view of the fact that the petitioner has already complied with the directions given by this court in the earlier order. 7. The writ petition stands allowed to the extent indicated above. There shall be no order as to costs. This entry was posted in Sec. 10(23C), Section 10 and tagged 337 ITR, Delhi High Court, exemption under Section 10(23C)(vi) of the Income Tax Act, In favour of Assessee.